Below is an overview of the length of charters and associated rates. Six people is maximum occupancy by Coast Guard regulations, regardless of size of vessel. Captain Rick also runs charters for smaller, 2 & 3 person groups at a discount from Monday thru Thursday and are listed under the 2019 Weekday Rate Specials. Capt Rick does not mix and match groups, singles or solos. The boat is yours to enjoy for for your own private charter. Additionally, multiple vessel packages can also be arranged for groups larger than six people. If the Independence is already reserved on the day(s) requested, Captain Rick has partnered with several other excellent captains in Waukegan Harbor and will be happy to check availability with them for you to fish. 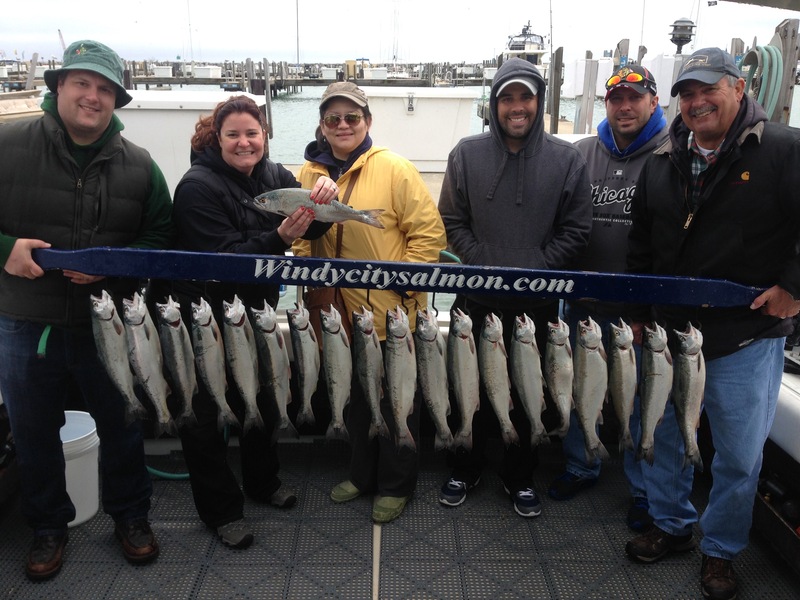 The Windycitysalmon Association of Charter Boats, started by Captain Rick, takes the guesswork of having you call other unknown charter boat operations, in search of an opening. All charter fishing packages and prices remain the same when Captain Rick arranges a reservation for you on another boat. Which salmon fishing charter is right for you? 6 Hour Fishing Charter: Captain Rick recommends this fishing charter for ALL charters in April, June, July, August, September and October as well as 5 and 6 person groups in May. At these times of the season, schools of fish will often be found in deeper waters and the extra hour is often instrumental in maximizing more time to reach these fish and fine tune our presentation techniques. 8 Hour Fishing Charter: This charter offers the most value and gives us the ultimate flexibility in pin-pointing our presentation techniques as well as experimenting with others in order to offer you the best chance of catching both more and larger fish. 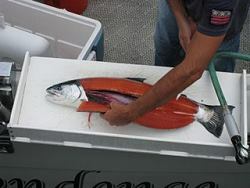 ALL CHARTERS INCLUDE THOROUGH AND PROFESSIONAL RINSING, ICING, AND BAGGING OF YOUR CATCH ON THE BOAT. FISH CLEANING IS FREE IF WE CATCH NINE OR LESS FISH. OTHERWISE, $1 A FISH APPLIES FOR ALL FISH CLEANED, IF TEN OR MORE FISH ARE CAUGHT. (MOST ALL OTHER CHARTER FISHING OPERATIONS CHARGE EXTRA FOR THIS). Captain Rick also has a variety of delicious and simple recipes on this website for you to enjoy your catch afterwards including his own famous Salmon Cakes recipe! 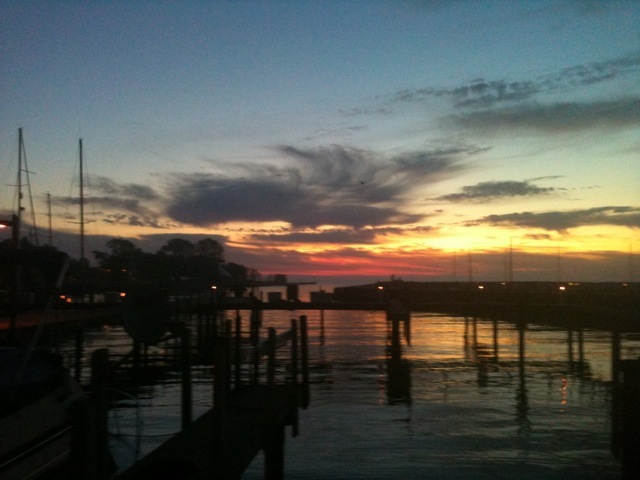 Morning charters leave the dock at either 5am, 6am or 7am depending on time of year. Afternoon charters usually depart the dock at 11am, noon, or 1pm. $100 deposit required for each charter, at the time of booking, in order to secure your reservation. Deposit goes toward final balance. Final balance paid when we fish. Cash preferred but check or credit card is accepted. If we can’t fish due to high wind/waves/lightening, we can attempt to reschedule or refund full deposit. Deposits can be made online by credit card or by mailing a check. Click here to make an online deposit.